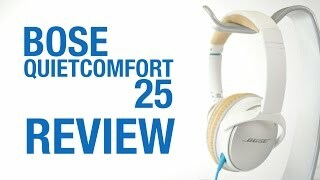 The QuietComfort 25 headphones deliver a superb noise-canceling performance. The terrific sound, including powerful lows and pleasing highs, shows no distortion at loud volumes. 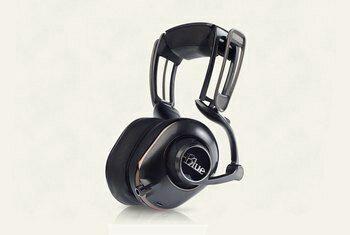 The QC25's padded headband and cushioned-leather earpieces give you a comfortable and sturdy fit. These headphones are not cheap. 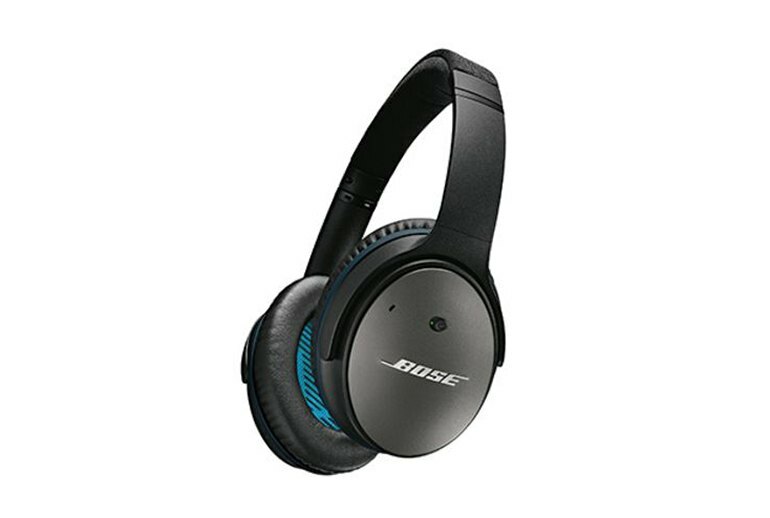 When the battery runs out, you can't turn on the active noise cancellation feature, although you continue to benefit from the headphone's passive noise suppression capability. The headphones run on a AAA battery instead of an integrated rechargeable option. Audiophiles who detest ambient noise will be drawn to Bose QuietComfort 25, thanks to its active noise cancellation feature. The lightweight headphones sport a plush design that achieves a snug fit and a solid seal. 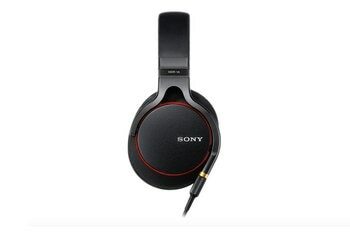 The headphones deliver clear and balanced sound, especially the treble. The unit runs on a AAA battery. Should the juice run dry, you can still listen to your tracks without active noise reduction. The inline mic/remote for music and calls works primarily with Apple devices, but it provides only limited functionality for Android users. 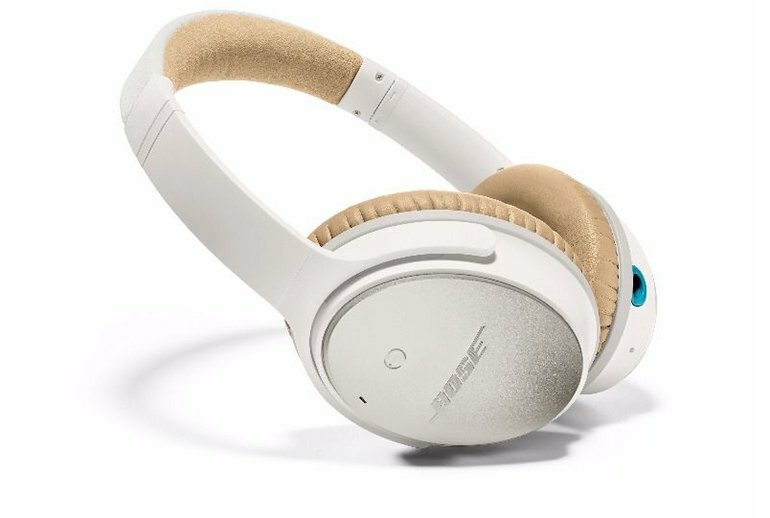 Go wild and spend $100 to customize the color of these Bose headphones. The sound engineered in the Bose QuietComfort 25 is exemplary. The lows, mids and highs come through clear as day, never stepping over each other. Hail to the new king....I wore the headphones for more than three hours, reveling in the way the pleather earcups nestled gently against my skull and created a sound-muffling seal. The clamp force is perfectly judged; they grip but never squeeze. The protein (synthetic) leather earpads are gentle on the face, the memory foam is irresistibly squishy, and perforations on the inside ensure heat won’t build up. 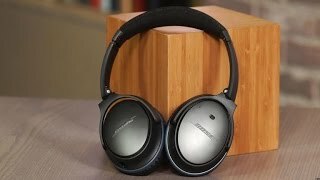 [T]he Bose QuietComfort 25 is still a noise-canceling headphone pair first and a music lover's headphone pair second. Another small but significant change is the shape of the headband. Bose has re-engineered it to sit closer to the head, so there's less of a gap under the headband. Every annoying sound is quieted—from droning, honking truck horns, to whining airplane rotors, to those children who keep singing Ariana Grande. The QC25s need a little fiddling to get the seal right over my glasses. They do a fantastic job reducing the engine noise from this Airbus A319. Dropping it down from a loud whir to a low hum. When slipping them on and pressing play for the first time it is hard to describe the noise-cancelling as anything other than excellent. The QC 25 will play music even without juice, though it lacks the womb-like sound isolation of when it’s running on battery power, and sound is somewhat more flat and less alive as well. 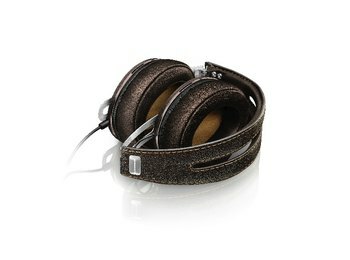 The leather earpads are plush and contribute considerably to the headphones' comfort. Still, in the few weeks I tested these headphones, the cushions popped off two times, which shouldn't ever unintentionally happen. People often forget how important midrange is to all music, but the QuietComfort 25s carry it well, adding a nice depth to guitars and clarity and intelligibility to vocals. I have a pair of these and Klipsch noise reduction headphones. 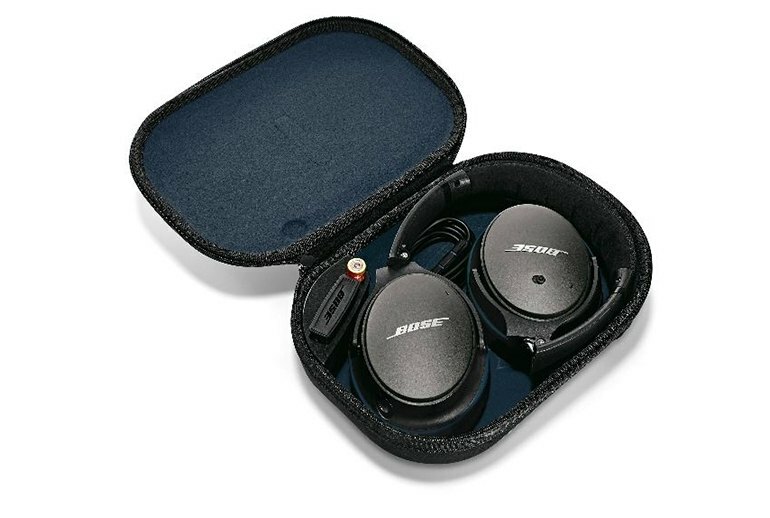 They're similar in many respects, but the Bose seems to have somewhat better noise reduction and the carrying case is definitely more portable, great for traveling. Bottom line is that these are lightweight, feel comfortable, and sound very good. Screaming babies? Bring em on! Do you know how much I care about screaming babies on an airplane ever since I bought them? 0. Not at all. 10 out of 10 would buy again. The noise canceling ability of these headphone is absolutely amazing. Even in a very noisy warehouse, I was able to enjoy my music. The sound quality is very good as well. The stereo balance, mids and highs are superb. 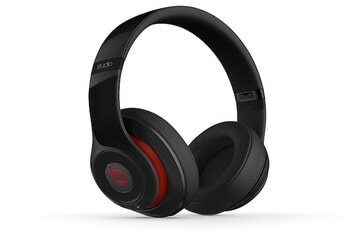 However I wish the lows were a bit more punchy without getting raspy like some other "bass favoring" headphone out there. If you like classical or jazz, chances are you'll like listening to your music with these headphones. Not crazy about the AAA batteries though.